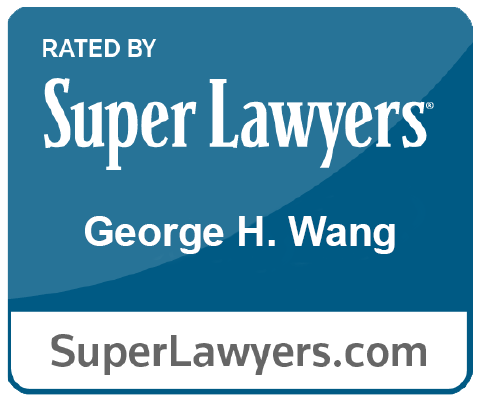 George H. Wang is an internationally known corporate transactions attorney who focuses his practice on mergers, acquisitions, joint ventures, investments and broad-scope business transactions on behalf of clients in North America, Asia and Europe. He has represented domestic and multinational clients on numerous domestic and cross-border merger and acquisition, private equity, venture capital and related transactions. George has led several large cross-border private equity and merger and acquisition transactions, including a transaction which was awarded 2013 Domestic Deal of the Year by LatinFinance. George has represented strategics, private equity funds, their portfolio companies and family offices in acquiring North American, Asian and European targets, completing serial acquisitions, multi-continent M&A transactions, acquisitions of United States public companies and “going private” transactions and joint ventures. George was recently named Cornell Asian Alumni Association Honoree of the Year by his alma mater, Cornell University and The Cornell Law School. For more than a decade, George served as an Educational Counselor to the Admissions Committee of The Massachusetts Institute of Technology. He is the immediate past Board Chair of the Asian American Federation, the leading pan-Asian advocacy organization in the New York metropolitan area working to advance the civic voice of Asian Americans. Prior to joining Barton, George was a partner in the New York office of the international firm Haynes and Boone, LLP. Represented a Mexican banking group in its USD 1.83 billion acquisition of a Mexican pension group from a European-based financial services group to create Mexico’s largest pension plan. The transaction was awarded 2013 Domestic M&A Deal of the Year by LatinFinance. Represented a Korean manufacturer of polysiliconate products in its acquisition of U.S. renewable energy assets. Represented a Swiss investor in an auction sale of a helicopter manufacturing and distribution company to Chinese buyers. Represented a French medical reagents and test kit company in the acquisition of a division of a North American based competitor. Represented a French nutraceutical company in its acquisition of a publicly-traded Spanish competitor; acquisition of a privately-held U.S. based nutraceutical company as well as a tender offer and merger of a U.S. publicly-listed nutraceutical company. Divestiture for in excess of $100 million of an AMEX-listed pharmaceutical distribution company to a publicly-traded German consumer products conglomerate. Merger, on behalf of a French publicly-traded company, with a Canadian-based NASDAQ-listed company which manufactures and distributes “smart cards” for use in consumer financial transactions. The transaction was structured as statutory merger for United States and other non-Canadian stockholders and as an exchange offer for Canadian stockholders. Advised the U.S. subsidiary of a French food processing company on a Chapter 11 bankruptcy proceeding of a natural food ingredients business and the subsequent acquisition of the assets of a competitor in that business. Negotiation of a majority joint venture to establish a global telemedicine business for a renowned global IT service provider. Represented a South Asian family office in the acquisition of a controlling interest in a Danish-based telecom operating a WiMax-based cellular telephone system and restructuring of the Danish telecom investment and renegotiation of senior and mezzanine loan facilities. Acquisition of a logistics business for a Middle Eastern investment group. Represented a variety of national building maintenance, armed and unarmed security guard and related businesses in stock and asset acquisitions throughout North America. Acquisition from a private equity firm of a national environmental consulting business. Acquisition from a private equity fund of the health and safety consulting division of a national casualty insurance group. For a South Korean conglomerate, $288 million bid for the acquisition of a U.S.-based developer’s interest in various utility-scale solar farm projects in the southwestern United States. The projects include approximately 3,000 MW of renewable projects including 1,500 MW of projects in advanced development. For an independent Mexican energy developer, representation of the 20% minority interests in an equity and debt financed $750 million natural gas pipeline infrastructure project and joint venture arrangements in which a Swiss private equity fund acquired the majority interest of a New York private equity fund. Various power plant investments in the United States for the portfolio companies of a leading Texas- based private equity firm focused on power generation assets. Created a joint venture to source large energy projects in China for a Singaporean family office. Represented a Canadian petroleum company and global exploration and production group, in oil and gas exploration and production activities, as well as financing and global tax structuring. Regulation S debt and equity financing for a Chinese cleantech company manufacturing wind tower components. – Stock acquisition to acquire the global operations of a fabric testing and inspection business for in excess of $100 million. The target companies operate in over 18 countries throughout Asia, South America, Europe and North America, and the transaction was structured as separate stock acquisitions in each of the target countries. Anchor investment by a Singapore-based global commodities trader in a United States energy mezzanine credit opportunities fund sponsored by a U.S.-based private equity firm. First private investment in public equity (“PIPE”) investment by a New York-based private equity firm in a China-based NASDAQ-listed company engaged in the manufacture and distribution of pharmaceuticals for the domestic Chinese market. Represented a South Asian family office in its investment in a pharmaceutical company engaged in in vivo biomarker strategies and conveyance of Asian-Pacific licensing and development rights. Represented a South Asian family office in various later stage venture capital investments in a Shanghai-based video streaming and media group, internet payment processing company and U.S.-based drug development company based upon investigation of traditional Chinese medicine protocols. Bridge financing for an angel investor investing in the combination of a South Korean manufacturer of integrated CDMA/GSM/3G cellular phones and personal data address book organizers and a California-based distributor of cellular products. Equity financing for a U.S. investor in a mainland Chinese joint venture established to commercialize cosmetics in the domestic Chinese market. Formation of a Cayman Islands-based private equity fund and feeder fund and concurrent acquisition of a Canadian oil-services equipment provider. Formation of a leveraged co-investment private equity fund and feeder fund of funds vehicle. Series A and B Convertible Preferred Stock financings for venture funds as well as target companies engaged in on-line procurement, telecommunications software integration, medical instrumentation and other businesses. Bridge financing and subsequent Series A financing on behalf of an angel investor investing in a limited liability company engaged in distribution of optical products. Formation of parallel domestic and offshore venture capital funds to invest in early stage digital media companies. Private equity investments in several United States based fashion companies and designers engaged in design and distribution of wedding dresses, womenswear and accessories. SEC-registered going private transaction for the controlling shareholders of a U.S.-listed pharmaceutical distributor. An SEC-exempt going private transaction for the management group of a dental administration company. Rule 144A debt financing and SEC compliance matters for a NASDAQ-listed U.S.-based company engaged in international coal mining activities. Various initial and secondary public offerings for issuers and underwriters. Represented one of Korea’s leading multinational electronic companies in the formation of a U.S. joint venture engaging in cloud-based electronic health records and related IT management systems. Represented a majority-owned Asian joint venture in its information technology outsourcing and related arrangements. A monoclonal antibody cross-licensing transaction between a major European blood bank and a NASDAQ-traded biotechnology company. A supra-voting exchange offer and change of control transaction for a leading manufacturer of magnetic resonance imaging (“MRI”) scanners. A cross-licensing joint venture for a British chip manufacturer with a major U.S. chip manufacturer for development of state-of-the-art chipsets for use in the telecommunications industry. Represented a Asian manufacturer of specialty steel products in the grant of distribution rights to a U.S. distribution group. Licensing and technology transfer agreements for a variety of domestic and international companies including those involved in couture and ready-to-wear clothing and accessories, technology, fashion, food and general retail activities and industries. Represented a Korean-based, global luxury goods manufacturer, distributor and retailer in the launch of their United States operations. A complex bank loan, coupled with equity warrants and put options, for a Swiss bank providing bridge financing to an insurance holding company pending completion of a secondary public offering of equity securities of the holding company. Licensing agreements for a leading French couture house for the domestic licensing of its globally-known trademarks for women’s, men’s and children’s ready-to-wear clothing and fashion accessories. Licensing agreements for a French-based handbag, luggage and accessories house for the domestic licensing of its globally-known trademarks. Revolving credit, term loan and letter of credit facilities on behalf of various corporate borrowers. Represented a Korean-based multinational corporation in connection with third party claims of trade secret misappropriation and tortious interference. “Foreign Acquisitions of U.S. Companies: State Cybersecurity and Privacy Laws Expand the Scope of Due Diligence by a Geometric Factor.” Co-Authored with Kenneth N. Rashbaum, Partner, Barton LLP. Lexis Practice Advisor® & Law360. (October 2016). Quoted in “The Rise of Reps and Warranties Insurance in the Lower Middle Market.” Axial. (March 22, 2016). “Chinese Company Makes a Complicated Play for Texas Oil.” The Wall Street Journal. (November 6, 2015). “5 Tips to Get the Most Out of Rep & Warranty Insurance.” Law360. (October 22, 2015). “An Unproven Lifesaver.” Private Funds Management. Issue 132. (August 2015). “The Insurance That Poses a Hidden Threat.” The New York Times. (May 8, 2015). “Reps and Warranties – Keeping M&A Liabilities In Check.” Law360. (May 1, 2015). “Chinese Investment to U.S. Faces Hurdles in Both Countries.” The Wall Street Journal. (March 31, 2015). “Cfius Subject to New Due Process Requirements.” International Financial Law Review. (July 29, 2014). “On SEC Specialized Disclosure Rules, Court Rejects One, Upholds Another.” Inside Counsel. (August 30, 2014). “Banorte Creates Mexico’s Largest Pension Fund with AFORE Buy.” LatinLawyer. (November 30, 2013). “Representation and Warranty Insurance in Middle Market M&A Transactions.” Clearlaw Institute Webinar. (January 10, 2018). “Seller Equity Rollovers in M&A.” Strafford Publications, Inc. Atlanta, GA. (May 26, 2016). “Reps & Warranties & Transactional Liability Insurance.” ExecuSummit. Uncasville, CT. (May 3-4, 2016).